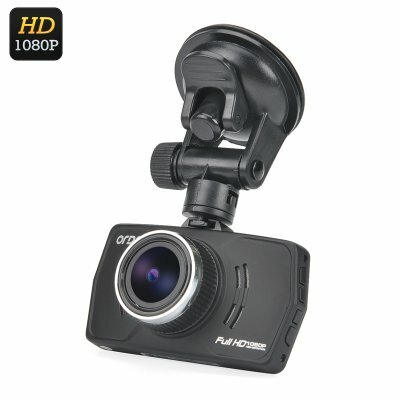 Successfully Added Ordro Q605 1080P Car DVR - 1/3 Inch CMOS, 3-Axis G-Sensor, Motion Detection, Loop Recording, 170 Degree Lens to your Shopping Cart. With a 1/3 inch CMOS sensor the Ordro Q605 car DVR is capable of recording full HD footage at 30 fps so it will be sure to capture events in all their details as they unfold. With its crystal clear image and 170 degree wide angle lens you can easily identify vehicles and get a full view of multiple lanes ahead so all number plates and surroundings are recorded for future reference should they be needed. Now if anything unexpected occurs on the roads getting a police ticket or a motor accident you can use the footage to prove your innocence even if there are no witnesses available. A 3 inch LCD screen on the back of the camera makes shows the easy to navigate settings and a clear simple button layout make use easy. You can quickly recall recorded information and review video or images at the roadside when needed and with a HDMI port you can even play back those stunning road trip scenes on a large screen TV. Using a triple axis G-force sensor will the dash cam will detect any sudden movement of the camera, which is used to securely lock important recordings at that time so as they can't be written over later. This compact camera comes complete with a sucker mount making it easy to stick to your vehicles windshield and the quick slide mount fitting lets you remove the DCR when it's not in use or quickly take it out of the vehicle to snap photos or video should you need to. With a slim profile the Ordro Q605 dash cam takes up very little room so will not get in the way and with a micro SD card slot supporting up to 32GB of storage you will be able to record many hours of footage. This Ordro Q605 Car DVR comes with a 12 months warranty, brought to you by the leader in electronic devices as well as wholesale dash cams..